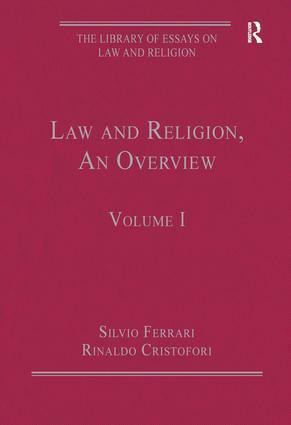 The focus of this volume is on the historical and geographical elements of law and religion. The first part delineates and analyzes the relation between church and state from the Gregorian Revolution to the human rights era and gives a sense of the evolution of the church and state relationship, whilst the second part explores law and religion issues around the world. The volume redresses the tendency towards a western-centric approach in the discipline by including essays from regional experts which present local approaches to law and religion in Asia, Africa, and South America. The collection is unique in that it brings together wide-ranging case studies and out-of-print papers and is an important resource for established and new scholars in the field.